Having just watched alt rock icon Amanda Palmer's TED Talk (courtesy of NPR's TED Radio Hour 's series on "Giving"), I am taking what she says as an article of faith. She talks a lot about faith as she describes her street performance, and couch surfing around the world, and passing the hat at her shows. She calls it "trust, not risk." Her presentation is simply stunning to me, as I produce newscasts, advocate for the arts and constantly negotiate for my clients. Is it a "commodity exchange" (trading products and services for cash)? Is it a "philanthropic exchange" (trading cash for an altruistic purpose)? Art is, of course, both. I derive real value from the music and art I enjoy. It has tangible benefits for my creative work and quality of life. And there is a high spiritual reward as well. I can't urge you enough to spread this message around. It's well worth 14 minutes of your time, especially if you're in the music or art business. "For most of human history, musicians, artists - they've been part of the community, connectors and openers, not untouchable stars. Celebrity is about a lot of people loving you at a distance. But the internet and the content that we're freely able to share on it are taking us back. It's about a few people loving you up close, and about those people being enough. It's about trust, not risk." Her message is stunning in its simplicity, and beautiful in its implications. Pass it on. Known: Baz Luhrmann's vibrant cinematic storytelling borders on the sensory overload, but remains visually irresistible. I've loved his work since his 1992 Strictly Ballroom ("new steps!"). I'm looking forward to his latest work interpreting F. Scott Fitzgerald's The Great Gatsby. Found: a Canadian TV host George Stroumboulopoulos, who can't sit still, physically or mentally. Last week's interview appeared on CBC's book channel: http://www.cbc.ca/books/2013/05/baz-luhrmann-on-adapting-the-great-gatsby.html. They’ve done it again! The clever, kinetic, musical minds of OK Go have merged their art with commerce in the latest Chevy Sonic campaign. Other communicators have noticed the appeal of the band’s visual style. The folks at mediabistro.com and I share a love for OK Go. Find links to the 30-second spot and four-minute video at their post. My previous post on OK Go from 2010 is here. Film holds its place as the most lucrative form of storytelling, so I’ll give the Oscars a few lines here. Un-nominated actors as hosts? Working material and scripts for humor. Delivering lines. Some are calling for a return to comedy. The show needs LIVE spark. Read more here. The show ended early (for us in the Mountain time zone). Not enough to show? Best Picture montage with audio of emotional WW2 speech from “The King’s Speech.” Look for the “Best Picture Compilation” (3:12) here. 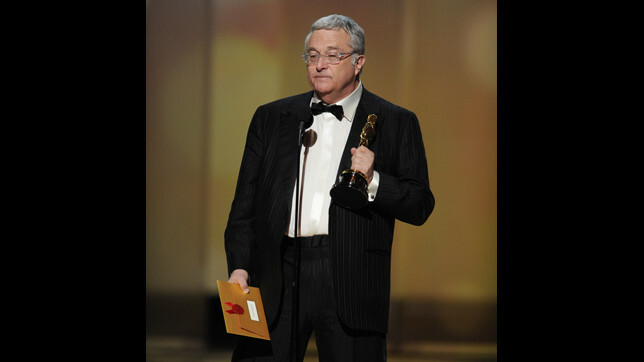 Randy Newman speech - playful jabs at Academy, with genuine appreciation. Remember that his pop songs carry the water for his social commentary. 10 films up for “Best Picture” a little large, a bit unwieldy, but good intentions for high-profiling more films. Here’s an outstanding example of imagination at work! Creativity is the ingredient that can change behavior! Thanks Volkswagen! No TV football this New Year's Day? College football is my game. It’s erratic. The moods and moves of young football players never fail to surprise, and there are plenty of upsets. But with a total of three – count ‘em, three – games on broadcast TV, the college bowl system is no longer what it was. To paraphrase Churchill, this is not the beginning of the end of bowl games as we once knew them. It is the end of the beginning of an all-new college bowl system. Follow the money. TV execs decided to not bid against ESPN for broadcast rights to the remaining 32 bowl games. I didn’t really notice or care until it interrupted my annual New Year’s Day ritual. For me, New Year’s Day is “pro scouting day.” It’s relaxing. 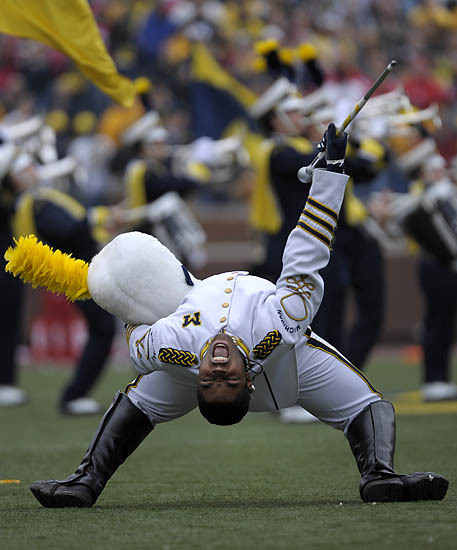 It’s the culmination of the season’s drama, NCAA sanctions, player mishaps and coaching scandals. But as a committed member of the “Rabbit Ears Coalition” (we who do not have cable/satellite), there is only one bowl game at my house this New Years Day, the totally inconsequential Outback Bowl between 7 and 5’s Penn State (coached by 84-year old Joe Paterno) and Florida (coached by 46 year-old Urban Meyer). Good players, good coaches, should be a decent game. But there’s no Sugar Bowl, no Fiesta Bowl, no Orange Bowl for we broadcast patrons. NBC opted for the outdoor NHL game. ABC wants to get us hyped up for the sci-fi drama “V,” so they’re showing last season’s closing episodes. CBS chose “48 Hours.” Fox is sticking with “Cops” and “America’s Most Wanted.” The networks have no enthusiasm at all for the college football audience (compared to the cost of buying the TV rights). Are they right? Does the college football fan only want games that “matter” in the form of a college football playoff system? A word on ESPN3.com. I had a glimmer of hope that I could go on line to watch a game. I’ve figured out how to cross the “living room divide” and get the internet on my TV (S-video cable from an older laptop or Wii Internet). Alas, my provider (Qwest) does not have access to ESPN3.com. The good folks in Bristol did provide me a comment page to “ask my provider” to offer access to ESPN3.com. Does that mean Qwest has to pay ESPN the same way cable/satellite providers pay for content? I’m certain of it. So that’s the game, and those are the players. I am finally convinced that to get my bowl games back on “Free TV,” a playoff system is required. “Games that matter” will bring back the audiences, and the major networks will pay up. Dang. I understand progress, but I kind of liked things the way they were. Wizbangblog.com stayed up late and wrote the first blog on the dearth of TV bowl games found on my Google search.